PT Bank Nusantara Parahyangan Tbk - Bank BNP is a rapid growing Indonesian public-listed foreign exchange bank, based in Bandung West Java. Bank BNP started its commercial operations as a retail bank named PT Bank Pasar Karya Parahyangan in 1972. Later in 1989, this Bank was officially organised under the name of PT Bank Nusantara Parahyangan and transformed into national commercial bank. Since 2000, Bank BNP’s shares have been listed on the Indonesia Stock Exchange (IDX: BBNP). As of December 2015, Bank BNP is 66.15% owned by Japan's ACOM Co Ltd, 9.35% by The Bank of Tokyo Mitsubishi UFJ, 6.46% by PT Hermawan Sentra Investama, and 18.04% by Public. 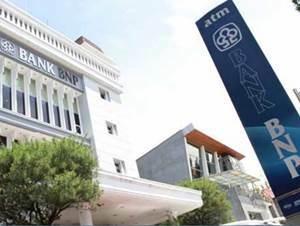 In term of office networks, Bank BNP now has 15 branch offices, 44 supporting branch offices, 2 cash offices, 4 SME operational functional offices, 1 non operational functional office, 1 mobile cash unit and 68 ATMs spread in all over Indonesia. According to PT Bank Nusantara Parahyangan Tbk Annual Report 2015 as cited by JobsCDC.com, Bank BNP's total assets in 2015 stood at Rp8.6 trillion, with total Third Party Funds amounted to Rp7.18 trillion, total capital of Rp1.19 trillion, and total lending portfolio of Rp6.47 trillion. Minimum Bachelor Degree (S1) in any field with minimum GPA of 4.00 (scale 4.00). Persuasive, have strong communication and interpersonal skills. JobsCDC.com now available on android device. Download now on Google Play here. Please be aware of recruitment fraud. The entire stage of this selection process is free of charge. PT Bank Nusantara Parahyangan Tbk - Management Trainee Program BNP December 2016 will never ask for fees or upfront payments for any purposes during the recruitment process such as transportation and accommodation.